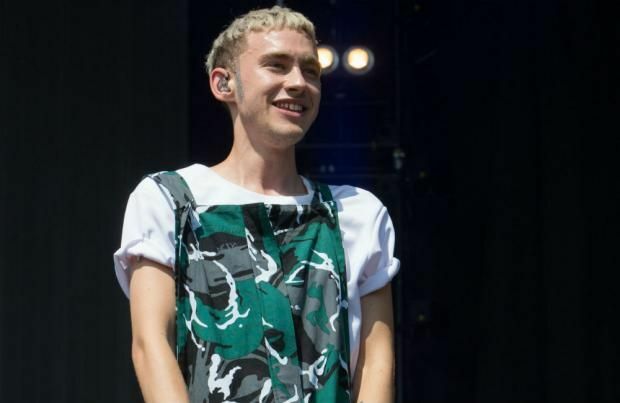 Olly Alexander wants to join Sam Smith's collaboration with Timbaland. The Years and Years frontman is a huge fan of the 'Latch' hitmaker and would love to be a part of his comeback. Speaking exclusively to BANG Showbiz, the 26-year-old singer said: "It's not true sadly. I love Sam. He is surely going to come back. "He is collaborating with Timbaland and it's going to be so sick. I want to be like 'please let me join!'" The electronica trio - completed by bass guitarist Mikey Goldsworthy and keyboardist Emre Türkmen - have released new music since 2015's 'Communion', which was the fastest-selling debut album of the year from a UK signed band. However, Olly reassured his fans that a second album is on the way, but playing the new 'Zelda' video game on PlayStation is taking up precious recording time. He confessed: "The new album is being made. It's in the process. We are going to get it done. "I can't get a word in. We are currently playing the new 'Zelda' game which is amazing. We are just playing 'Zelda' and playing music at the same time. "But we are just in the process of getting it together. It's very different than the previous album but that's all I can say." Olly's ex-boyfriend, Neil Amin-Smith, would have made his former lover very jealous if he was still in Clean Bandit, as they are reportedly working on a song for Sam's comeback. Although, the collaboration probably wouldn't have happened in Neil was still in the band, as he previously mocked his James Bond 'Spectre' theme 'Writing's On The Wall'. A source recently told the Daily Star newspaper: "That [Neil's departure] opened the door again." At the time, Neil said that the song was "just a flaccid copy of Michael Jackson's 'Thriller.'"